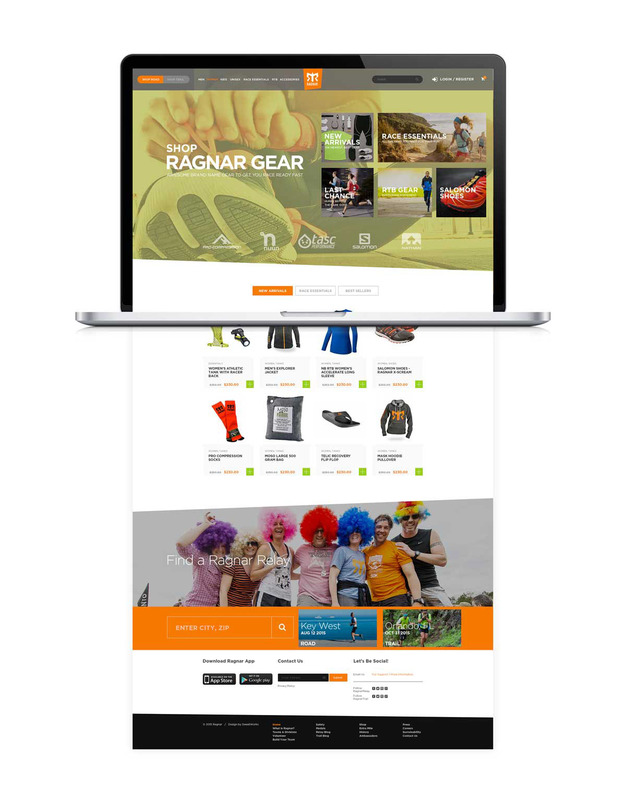 With this website redesign Ragnar wanted to unify two different websites into one. This not only called for a complete rethinking of their strategy but gave way to new opportunities. Having been fortunate to visit the Ragnar offices, I was blown away by how the offices reflected the staff yet their old website did not. With their office look as inspiration I set out to design a website with just as much style, personality and excitement. I was privileged to be given total creative freedom to explore the possibilities. I would be remiss if I did not thank Ragnar for trusting me the way they did. They handled marketing, branding and tech questions like champions. They gave mind to every suggestion and always responded in a thoughtful, constructive manner that inspired even more. Also, a huge high-five to SweatWorks and the developers... they make design dreams come true. I could not have done any of this without their complete trust and unwavering support. Thanks Ragnar and SweatWorks, you guys are the best! 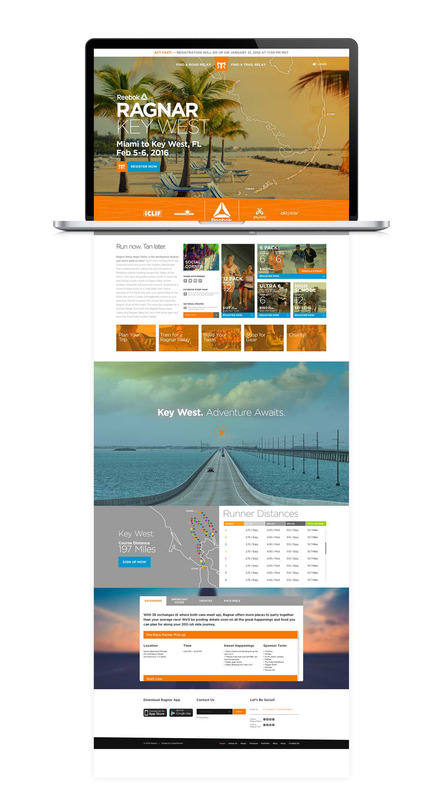 The new Ragnar website is loaded with custom coding technology, advanced design principles and many features that blur the web experience with race-day news and updates. Ragnar is a 200 mile relay. Teams are comprised of 12 members whom alternate running till they reach the finish line. The catch? It's a non-stop, keep-running-though-the-night race! Home Page - Design keeps visitor interest at the top of the page. By answering what type of race the Visitor would like to do, "Road or Trail?" the site gets tailored immediately to their needs. It filters out the type of race and geolocates the closest event to the visitor. Race Detail Page - For site visitors wanting more information about a particular race, they are served up a beautiful image of the location including a geographically correct course map. Page includes complete registration options, social media sharing capabilities and a course outline displaying information about every leg on the course. Ragnar Store - Getting ready to run an overnight relay requires the right equipment. Within the Ragnar shop the visitor can easily choose whether to see products for their Road or Trail race needs. A race finder panel has been added to the store to continue the sales funnel. 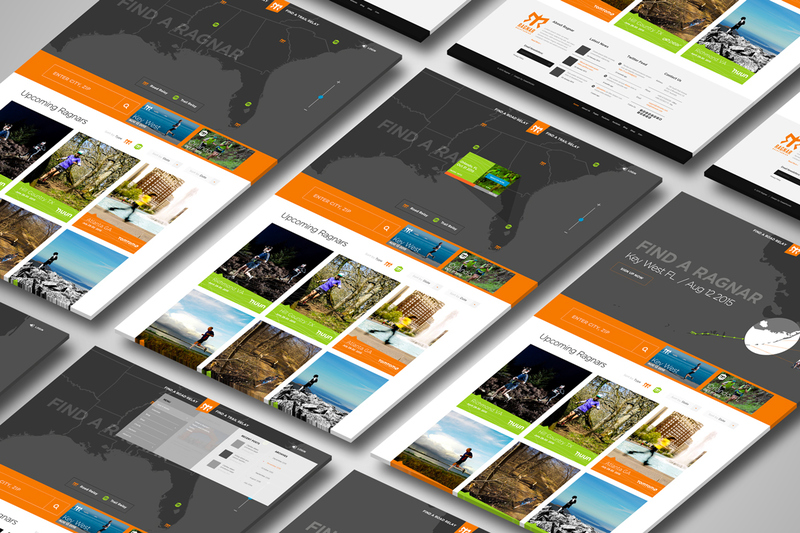 Ragnar Race Finder - Finding a Ragnar race near you is easy. It was designed and coded to geolocate the visitor and display the nearest events to them. The type of races have been color coded for easy reference. Clicking on a race icon will display a small flyout window with race info and the abilty to register on the spot. The Upcoming Ragnars area shows all the races with filtering capabilities.